Motorcyclist using a cellphone on the road in China. Latest statistics from the World Health Organization (WHO reveal that 1.35 million people die on the roads each year, while road traffic injuries are now the leading cause of death among young people, according to new statistics from the World Health Organization (WHO). “What’s killing our young children and adults, is road traffic crashes now,” Dr. Etienne Krug, Director of the WHO department that deals with violence and Injury prevention, told UN News. Increases in average speed; driving under the influence of alcohol or drugs; and inadequate post-crash care, are among various factors making traffic injuries the number one killer of persons aged five to 29, the 2018 Global Status on Road Safety reveals. Additionally, of the total number of road traffic deaths, 90 percent occur in low and -middle-income countries. It’s important to notice this is a “real issue of inequalities,” Dr. Krug said, citing that only one percent of the vehicles in the world are in poorer countries, and yet 13 percent of all vehicle-related deaths occur there. High-income nations account for 40 percent of the world’s cars, and only seven percent of total traffic fatalities. Dramatic increases in fatalities for many low- and middle-income countries, are in part reflective of their rapid development, associated with “new roads, new cars, new drivers”, Dr. Krug explained. While no low-income country has demonstrated a reduction in overall deaths, compared to previous data from 2015, 48 middle and high-income countries in Europe, the Americas and Western Pacific, have reported road traffic death declines; largely attributed to improved legislation around speed limits, intoxicated driving and seat-belt safety, among others. The tried and true method of mitigating the situation via policy changes has worked for richer nations, but poorer countries are not keeping up when it comes to positive changes. Director-General at the WHO, Tedros Adhanom Gebreyesus said that “these deaths are an unacceptable price to pay for mobility”, calling inaction inexcusable. “This is a problem with proven solutions. This report is a call for governments and partners to take much greater action to implement these measures,” he urged. 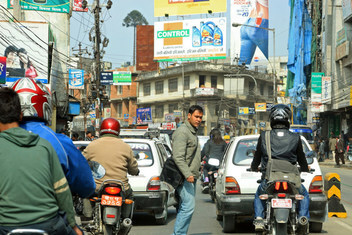 WHO has contributed to the reduction of road tragedies through its collaboration with the Bloomberg Initiative for Global Road Safety (BIGRS), which prioritizes high-risk countries in intervention through building sustainable transportation alternatives, safer roads, monitoring vehicle standards, and policy strengthening. In 2017, the health organization released evidence-based measures to reduce traffic fatalities and injuries; Save LIVES a road safety technical package, which recommends strategies to address risk factors and guides Member States in reaching the target of halving the global road injuries and deaths by 2020. “What we need to see is real high-level political will to take on the problem…We know we needs to be done, that’s not the issue, we just need to do it,” he added.